If you are registered to vote, you will be sent a voting (or “polling” card) two or three weeks before the election with the address of your local polling station and the times that it will be open on election day. Polling stations are usually set up local schools, halls or libraries. As you enter the building you will need to give your name and address to the election staff on duty. You can show them the polling card that you have been sent, but you don’t need to bring it with you to vote. They will have a list, taken from the Electoral Register, of everybody who is entitled to vote. You will then be given a ballot paper. This lists the candidates who are standing for election and explains how to cast your vote. Take your ballot paper over to one of the booths, and mark your vote with an X in the space provided alongside the name of the candidate(s) or proposal of your choice. Do not mark the ballot paper in any other way. If you do, your vote will be invalid. When you have marked your vote, fold the paper in half and place it in the ballot box, situated near the booth. Do not let anyone else see your vote, and if, as you leave the polling station, you are asked how you voted by somebody from one of the political parties, you are under no obligation to tell them. Your vote is entirely private. What about postal and proxy votes? If you are registered to vote but, for any reason, are unable to reach the polling station on polling day, you may apply for a postal vote. Application forms are available on line from www.aboutmyvote.uk or from your local electoral registration office. Applications for a postal vote must be made at least eleven working days before an election or referendum. Alternatively, you may wish to apply for a proxy vote, in which someone nominated by you votes at the polling station on your behalf for the candidate(s), party, or policy of your choice. Note that the person you choose must also be a registered voter. Again, you will need to be registered to vote and must apply for a proxy vote at least six working days before the election or referendum. Unlike a postal vote, you are required when applying for a proxy vote to explain why you are unable to attend the polling station in person. This may, for example, be because of work or study commitments, a disability, or because you are currently based overseas. 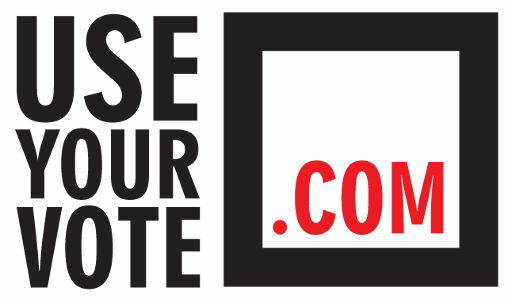 Application forms for a proxy vote are available on line from www.aboutmyvote.uk or from your local electoral registration office. If you live in Northern Ireland and wish to apply for a proxy vote, you will need an application form available from your area electoral office or the Electoral Office for Northern Ireland, www.eoni.org.uk. Is the voting system used in every election the same? No, in different elections and referendums different voting systems are used. The general procedure that you follow as a voter at the polling station is the same for all elections and referendums, but the detail of how you cast your vote may differ. In local council elections and in elections to the UK Parliament, you have one vote for the candidate of your choice. This is known as the first-past-the-post system, and the winning candidate is the person with the most votes. The majority of candidates represent a political party, and the party with the highest number of winning candidates usually forms the government. Other elections, however, are held using a number of different systems, generally known as proportional representation. These are designed to produce a result that is more representative of the views of voters as a whole. Under the system of proportional representation used for elections to the European Parliament, you have one vote, which you cast not for an individual, but for the party of your choice. When the votes are added up, each party gets the number of seats equal to their share of the vote. If you are voting in elections for the Scottish Parliament, the National Assembly for Wales or the London Assembly, you will have two votes. The first you cast for the person you most want to be your constituency representative, and the second for your favourite party. After all the votes have been counted and the winning candidate chosen, further seats are awarded to additional representatives in such a way that the overall party representation in an area reflects the party’s share of the vote. If you are voting in an election to the Northern Ireland Assembly, your ballot paper will indicate the number of seats that are available together with a list of the candidates standing for election. All you have to do is to number the candidates in order of preference. What do the people I elect do for me? Local councillors, as the name implies, are responsible for many of the services provided in a local community. These include education and social services, libraries, waste disposal, the upkeep of roads, planning, parks, recreation and environmental health. Local councillors are responsible for just under 25 per cent of national public spending. In some areas there may be a parish council, a borough council, and a county council, each made up of different councilors, and each with specific responsibilities. For example, the county council might be responsible for roads and street lighting, but a borough council might carry our rubbish collection and be responsible for planning and local parks. If you are concerned about a local issue in connection within any of these services, it’s worth identifying which council is responsible and contacting your local councillor. Their name and contact details will be on your local council website. Members of Parliament (MPs) generally divide their time between working in Parliament, working in their constituency and working for the political party that they represent. Many MPs also take on responsibility for, or have an interest in, a special subject such as transport, education or a particular aspect of health care. In Parliament, MPs attend debates, work on committees and vote on new laws. In their constituencies they listen to constituents’ concerns and try to help them, particularly if the matter is the responsibility of central government. MPs usually hold a ‘surgery’ in their constituency at least once a month where members of the public can seek advice or help. Information on this may be found on your MP’s website. You can find out the name of your MP and their contact details from the Parliament website, www.parliament.uk. "If people do not use their vote, their voice is lost."